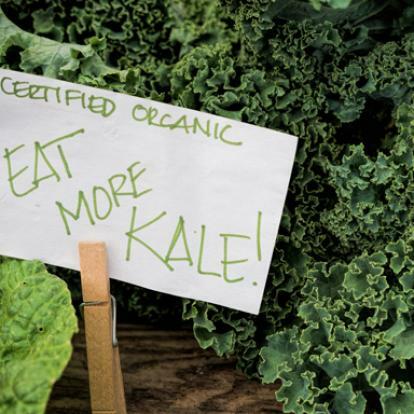 All Hail Kale & This Yummy Salad Recipe! Eating healthy, good-for-you foods during and post-treatment can help cancer patients feel better and stay stronger. Proper nutrition can help them keep up their body weight and strength, keep body tissue healthy, and fight infection. 1. Place all ingredients for the salad dressing except olive oil in a blender and then gradually pour the olive oil in while blending. 2. Pour a desired amount over the rinsed and dried kale. With your clean hands or salad utensils, rub and mix the dressing into the kale. The lemon juice and salt from the Tamari will begin to break down the cellular wall of the kale which provides greater nutrient absorption. 3. The dressing keeps in fridge for 3-5 days. Be sure to take it out of the fridge a few minutes before using it as the oil gets coagulated. D-E-L-I-C-I-O-U-S and oh so very nutritious! Enjoy!!! Previous Previous post: Sharing the Wealth and Health this Summer! Next Next post: Our 2014 Flame of Courage Winner, Congratulations Elaine!